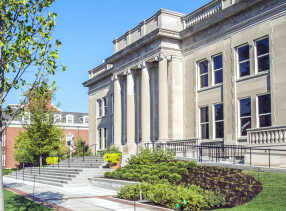 "Todd and I have discussed a DePauw visit for several years, and it worked out that this is an evening which is an off-day on his tour schedule and he'll be within driving distance of Greencastle," says Ken Owen '82, executive director of media relations and coordinator of the Ubben Lecture Series. "It also happens to be the first night of Passover. We present this event, which a number of people are very excited about, with sensitivity toward those who would normally wish to attend but choose not to and with respect for the significance of the day." 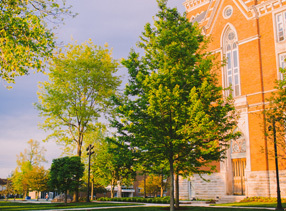 The lecture will be Rundgren's first in the Midwest. He regularly speaks at music industry and technology conferences on the coasts. Todd Rundgren is best known as the composer and performer of "Hello It's Me" ( [Download Audio: "Sample" - 936kb] and "Bang The Drum All Day" [Download Audio: "Sample" - 999kb] the latter of which has become a staple of Friday afternoon radio programs and sports arenas with its chorus of "I don't want to work/I want to bang on the drum all day." But those two tunes and a handful of other hits ("Can We Still Be Friends," "We've Gotta Get You a Woman," "I Saw the Light," "Love is the Answer") are a small sampling of a career that spans more than 40 years and has spawned about 100 albums, counting the releases Rundgren has released himself and produced for others. Over the last five decades, he has made a lasting impact on the form, content, and delivery of popular music. Born and raised in Philadelphia, Rundgren began playing guitar as a teenager, going on to found the quintessential '60s cult group The Nazz. He spent his spare time at the phone company watching early computers at work, a fascination with technology he has carried throughout his life. 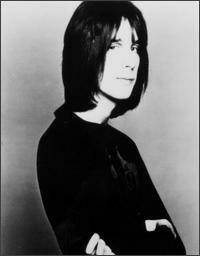 In 1969 he left The Nazz and became an engineer, working on projects by The Band and Janis Joplin. He also began making solo recordings, and 1972's Something/Anything? 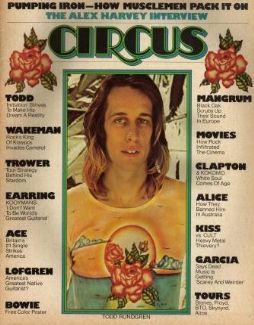 -- on which Rundgren played all the instruments, sang all the vocal parts and acted as his own producer, which he continues to do to this day -- catapulted him into the superstar limelight, prompting the music press to dub him "Rock's New Wunderkind." 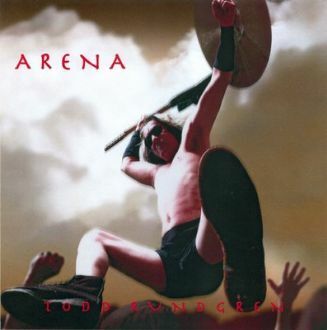 The albums that followed -- from 1973's A Wizard, A True Star through 1985's A Cappella (which featured Rundgren's voice, sometimes digitally manipulated, and nothing else) to his most recent release, 2008's Arena -- have taken his audiences on a wild, ever-changing musical ride -- embracing styles as varied as heavy metal, Gilbert and Sullivan, and bossa nova -- while often confounding his critics. 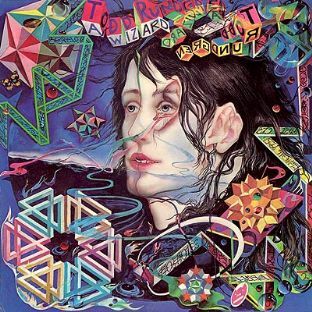 From 1974 through the mid-1980s, Rundgren was also a member of Utopia, a band that also explored musical styles. Many of those years featured two Rundgren discs annually: one solo, the other by Utopia. 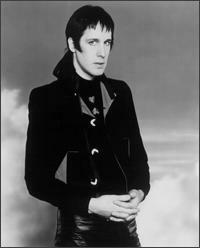 "My biggest challenge is not to repeat myself," Rundgren said in a Mojo interview earlier this year. In July 2008, he told California's Ventura County Star, "I've never liked the term 'rock 'n' roll,' even though I use it to make myself understood. Rock 'n' roll to me is Chuck Berry and Little Richard -- the originals who invented the term. There was a break when The Beatles came around, but even they cut their teeth on the same stuff. By the time they hit their golden years in terms of making music, they were incorporating symphony orchestras, weird tape loops and all the stuff that by definition isn't rock 'n' roll because you can't carry it around in a guitar case. But people have persisted in labeling anyone who played an electric guitar a rock musician. I wound up in that space, but never thought of myself as strictly a rock musician. I like to make all kinds of music." One of the best-selling rock albums of all time, Meat Loaf's Bat Out of Hell, was produced by Rundgren, who also plays lead guitar throughout the disc which features "Paradise by the Dashboard Light" and "Two Out of Three Ain't Bad." The laundry list of other Rundgren-produced albums includes Grand Funk Railroad's We're An American Band, Patti Smith's Wave, XTC's Skylarking, Cheap Trick's Next Position Please, and Forever Now by the Psychedelic Furs. 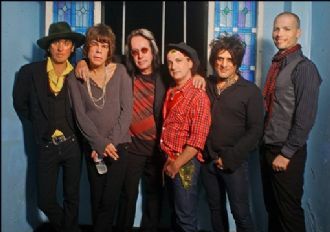 He's also worked with Hall & Oates, Badfinger, The Tubes, Paul Shaffer, Bad Religion and 12 Rods. 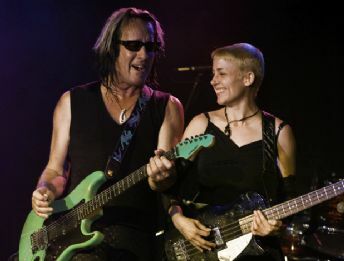 Todd Rundgren has also had success as a composer for television programs and feature films, having scored projects ranging from Pee Wee's Playhouse to Crime Story to Dumb and Dumber, for which he received BMI's "Film Composer of the Year" accolades. He also scored a musical based on a Joe Orton screenplay, Up Against It, for Joseph Papp and the New York Shakespeare Festival. In the late 1970s, before the dawning of MTV, Rundgren built his own video studio and began creating his own music videos. "Time Heals" was one of the very first videos to air when MTV debuted on August 1, 1981. 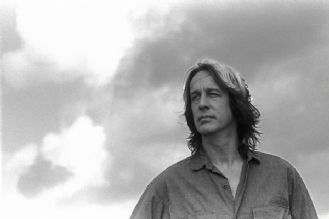 Simultaneously, Rundgren began programming personal computers and since then he has been involved in the development of products ranging from digital artist's tools (Utopia Graphic Tablet System) to computer generated kinetic art (FlowFazer, GrokGazer). In late 1990, the artist created a groundbreaking video for his song "Change Myself" by daisy-chaining a series of Amiga computers together. In November 1991, he told the Hollywood Reporter, "In the years to come, you're going to see a lot of devices bringing computer technology to television. Soon you'll be able to go out and buy a TV with a computer built in, and by the end of the decade you won't be able to buy a TV without a computer in it," he predicted. 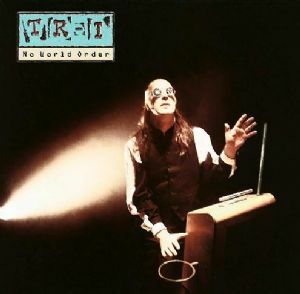 In 1993 as TR-i (Todd Rundgren-interactive), he developed the world's first interactive music program (No World Order), which allowed users to customize a musical experience based upon a variety of factors, including beats-per-minute to their personal mood. 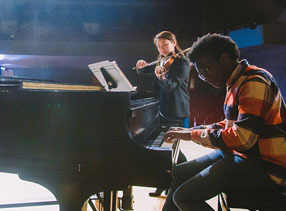 In 1994, No World Order won "Best Composition/Arrangement" from the Academy of Interactive Arts & Sciences, and the "Best Interactive Disc of the Year" Award from Video magazine. Rundgren's creation got the attention of the Warner Full Service Network, a pilot project that intended to deliver interactive entertainment options -- including TV programs and the power of computing -- into people's homes. The musician suggested that the major record labels put all of their music on a server and give customers the opportunity to listen to whatever they wanted, and whenever, for a monthly fee. 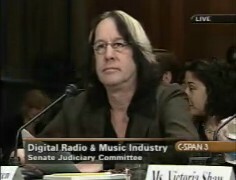 In testimony before the U.S. Senate in April 2006, Rundgren called it "kind of like an iTunes for the early ‘90s. When it came time to plug the music in, everything I had suspected about the savvyness of the industry was crystallized. To a label, every one of the majors refused to consider the possibility of putting music they controlled onto a server. Ironically, even the music division of Warner Brothers would not cooperate, even though this was only a demonstration project. Ever since then, the behavior of the majors has been that of a mindless parasite, contributing nothing, yet trying to get it's snout into the bloodstream of any new development. The knee-jerk justification is 'protection of artists,' which would more accurately be represented as the interests of highly bankable artists still under contract. For every one of those, there are a hundred with a lifelong bad taste in their mouths over the way they were treated when sales began to lag." 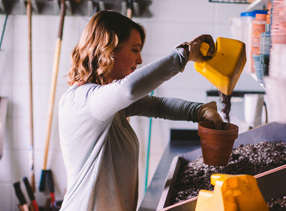 Rundgren's skills have been applied as a consultant to companies in diverse areas such as communications (General Magic) and digital video (NewTek). He also appeared in a series of advertisements for Apple Computer in the 1990s. A unique validation of Rundgren's many contributions to the arts came in May 1995 when he received the prestigious Berkeley Lifetime Achievement Award from the Popular Culture Society at the University of California - Berkeley along with fellow recipients Robert Altman, Maya Angelou, Aretha Franklin, David Hockney, Liza Minnelli and Brian Wilson. Bestowed annually, the awards "honor artists who re-define a genre, show excellence through diversity in their art, communicate the essence of a time period, or work towards positive social change." 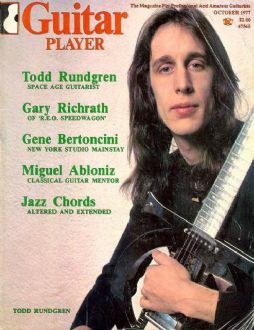 In March 1997, Rundgren launched PatroNet, a service which sold annual "subscriptions" to his music. Fans were offered the opportunity to be in on the creative process and were allowed access to freshly recorded new songs. 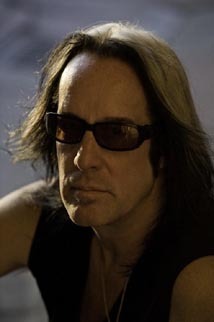 "It's an amazing fact of life that after over thirty years of producing astounding, beautiful, frustrating, complex and genre-defying music, Todd Rundgren still remains to many (especially in the UK) a word of mouth cult," opined the BBC's Chris Jones in 2003. "Always more renowned for his production work for artists as disparate as Meat Loaf (Bat Out Of Hell), and the New York Dolls, the very mention of his name in some faithful quarters can induce apoplectic bouts of proselytizing. To them he's a visionary without whom there would be no Prince, MTV, or access to Internet music (his most recent work has been available only as downloads for subscribers). Truth be told, it's always been this willful refusal to be shoehorned into a bracket that's hindered widespread acceptance -- he's a master of every style from classic soul to bizarre electronica." "Part of the problem is, there are two ways to make music," Rundgren told CNN in January. One is to be revelatory, and one is to be obfuscating. You create a different image of yourself for people instead of actually revealing something truly about yourself. And you can say the difference is the difference between Michael Jackson and Tom Waits, or something like that. ... The material Madonna writes is to a persona. The persona is what's being marketed, and the music is just part of the merchandise." Hot Chip samples Rundgren's "Sounds of the Studio" on its song "Shake a Fist." Alexis Taylor, lead singer of Hot Chip, was asked by the UK's Guardian if he takes inspiration from Rundgren's career and his refusal to bow to commercial pressures over a long career. "I really do," he replied. "I wish our band would be braver in terms of moving stylistically from one thing to the next, from album to album, totally going against what's expected and eradicating what we were known for on the previous record. That's something I'm very interested in." "One of the things I try to preach to other musicians ... is that your job has always been to perform," Rundgren told the Pittsburgh Tribune-Review in 2004. "It wasn't to go into the studio to make records and go home and collect royalty checks, it was always to go out and prove what you can do night after night. B.B. King still goes out 300 days a year. Tony Bennett is still knocking people out night after night after night. And that's what being a musician is all about. People get too fixated on records, that records will either make your life easier or it's your only reasonable musical outlet. I think it's time for players to get back to the playing." 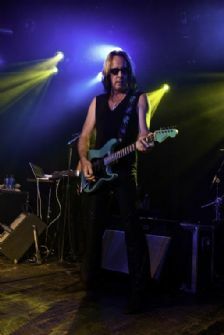 Rundgren is currently touring the nation to promote Arena, a collection of 13 songs heavy on guitar and harmonies. 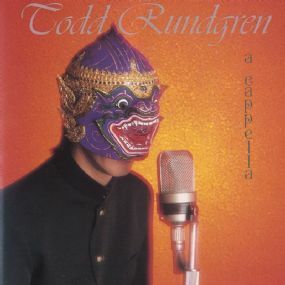 "Todd Rundgren always had a knack for a hook, an instrumental proficiency to rival Prince and an ego to match," the Washington Post's Alexander F. Remington wrote. "Forty years since 'Open My Eyes' and 60 years old, he's back to what he does best: simple hard-rock pop songs." Last month in Rolling Stone, David Fricke opined, "The album is a bright, bullish return to Rundgren’s specialties -- paisley-mod punch, Who-ish guitar fireworks and white-soul-boy woe -- and this live recital was a close-quarters throwback to the best Utopia shows I saw in the Seventies and early Eighties, minus the sparkling eyeliner, rainbow hair and Egyptology." The Huffington Post's Sal Nunziato was more direct: "Take the word of someone who has seen Todd Rundgren live more times than he's visited his mother, if he comes to your town, go say hello and pick up Arena, while you're at it. This is a show not to be missed." 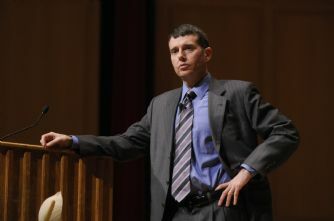 Established in 1986 through the generous support of 1958 DePauw graduates Timothy H. and Sharon Williams Ubben, the Ubben Lecture Series welcomed David Plouffe (pictured at left), Barack Obama's presidential campaign manager, to the Greencastle campus last month. 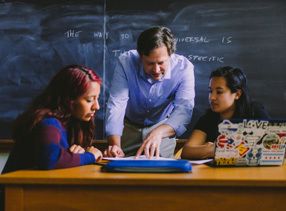 Greg Mortenson, author of Three Cups of Tea, was a Fall 2008 guest. Award-winning journalist Jane Pauley will speak April 17. 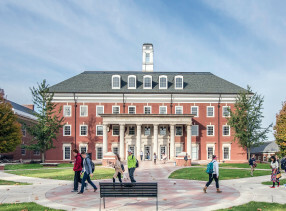 To view a complete roster of Ubben Lecturers -- which includes links to video clips and news stories of speakers such as Mikhail Gorbachev, Tony Blair, Harry Belafonte, Margaret Thatcher, Mike Krzyzewski, General Colin Powell, Elie Wiesel and Benazir Bhutto -- click here. 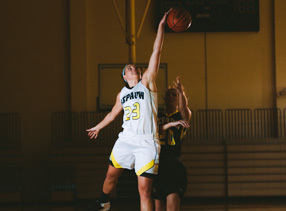 A video retrospective of the Ubben Lecture Series -- produced by DePauw students -- was premiered in June 2008 over Alumni Reunion Weekend. Read about the project, and view the piece, via this article.